EZY Switch products in North America. Use the massive infrastructure of the AT&T cellular network to configure the EZY Switch SMS text controller into a mini-SCADA. For nearly 40 years, Supervisory Control and Data Acquisition (SCADA) systems have been used to manage and control our nation’s electrical grids and water distribution systems, as well major systems within large industrial complexes. 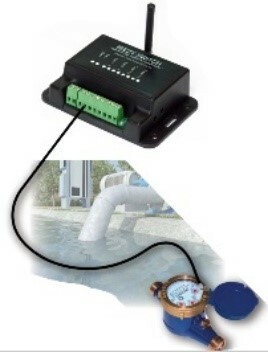 In the past, this has required a huge investment in a communication infrastructure to remotely control circuit breakers, switches, pumps, and valves – and monitor temperatures, flows, and other conditions in real-time. Industries which have large geographic distribution of equipment use SCADA systems to enable control and retrieve information about their processes – but have done so at very large capital cost. 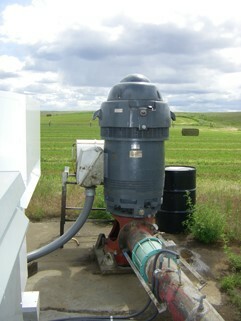 Now, for an investment of few hundred dollars, that same capability is available to the small farmer for a multitude of applications including irrigation systems and outbuilding temperature control; to municipalities for security camera control, for water and sewage, utilities, locks and dams, water control projects… and many other applications that need long distance control and information gathering. 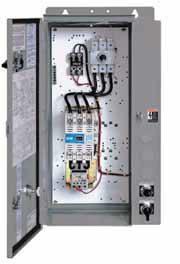 The EZY SCADA unit can be mounted in a pump panel, PLC, motor control center – anywhere you need control or information within a process or facility. This unit packs a world of capability into the space of a 3X5 inch card. Over 50 functions, specifically designed to provide maximum flexibility for the system designer or user are implemented using SMS text message programming – no computer is required for the set-up. 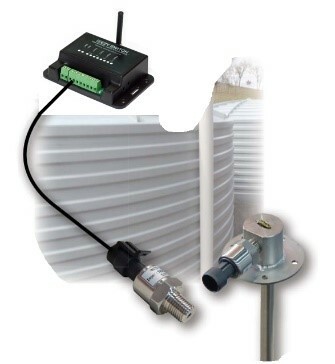 Remotely monitor temperatures using the SMS-TEM-2, -4 and -8. 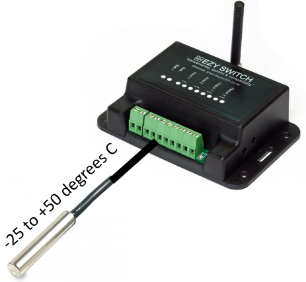 The temperature input is provided by a sensor with a range of -25 to +80 degrees C. This input replaces one of the inputs on the SMS-2, -4, or -8. The description of the application of this feature is found on page 19 in the SMS-TEM-2 installation manual.